Welcome to Lizard's Mastiffs. My name is Liz. We are located in Stacy, MN. Our dogs are part of the family. 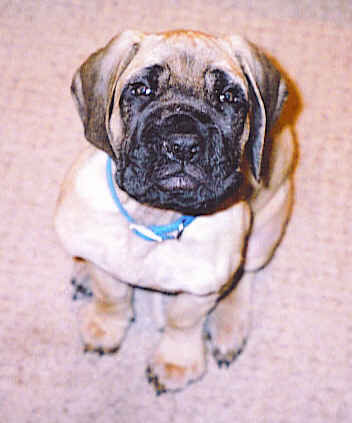 I got my first Mastiff, Brutus, in 2001. 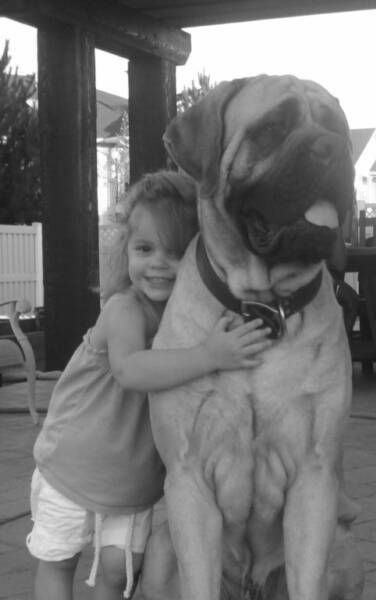 I immediately fell in love with the breed, I am now dedicated to these wonderful Mastiffs. We do not breed often, but we will occasionally have puppies available, to approved homes. Our breeding dogs are health tested, we know this does not guarantee the puppies will not have health problems, but we are doing the best we can. I strive to produce sound, healthy puppies, with wonderful temperaments that meet the breed standard. I encourage you to learn as much as you can about this wonderful breed before jumping in and getting one. I think the positives far outweigh the negatives, but Mastiffs are not for everyone. 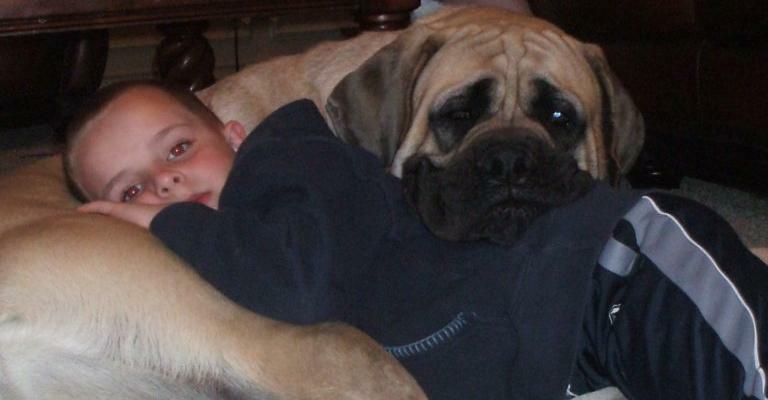 I enjoy showing my Mastiffs, they are all owner handled. I am also working on Rally Obedience, and we are really enjoying it. Guinness (Shiraz/Homer) and his kids. Mastiffs need to be a part of their family, this is one happy boy! Zaria (22mo), Shiraz (almost 6yrs), and Sangria (22mo).